Ubisoft appears to have avoided the hostile takeover the company’s bosses and workers have been fearing from the conglomerate Vivendi for the past three years. The mega-publisher announced today that Vivendi will sell off all its existing shares in Ubisoft and agreed to not acquire any more for the next five years. In another twist, China’s biggest game company and Ontario’s teachers will now have a stake in the maker of Assassin’s Creed, Splinter Cell and Tom Clancy games. In order to purchase Vivendi’s 27.3% stake, Ubisoft has enlisted investment from Tencent, the Chinese company that owns League of Legends studio Riot and Fortnite studio Epic Games. It also has buy-in from the Ontario Teachers’ pension fund, which represents more than 300,000 active and retired teachers, according to the group’s website. Ubisoft CEO Yves Guillemot’s investment firm is also investing in Ubi. The deal includes a partnership with Tencent to push Ubisoft games in China and restricts the conglomerate from from trying to increase its stake and voting rights in Ubisoft or transfer the shares to another company. All told, the deal is valued at about $2.45 billion (£1.75 billion), more than twice what Vivendi originally paid for its stock. Ubisoft had previously been courting Canadian investors in the hopes of preventing Vivendi from gaining a controlling stake in the company, a move it called “unwelcome” back in 2016. Guillemot told The Globe and Mail at the time the strategy was to increase Canadian ownership of the company with investors who were willing to stay with it long term. Game publishers’ financial machinations like these seldom have direct impact on the people who play video games, but Ubisoft made an obvious effort in the past year or so to present a more positive face for the company and to build a sense of solidarity among its employees. 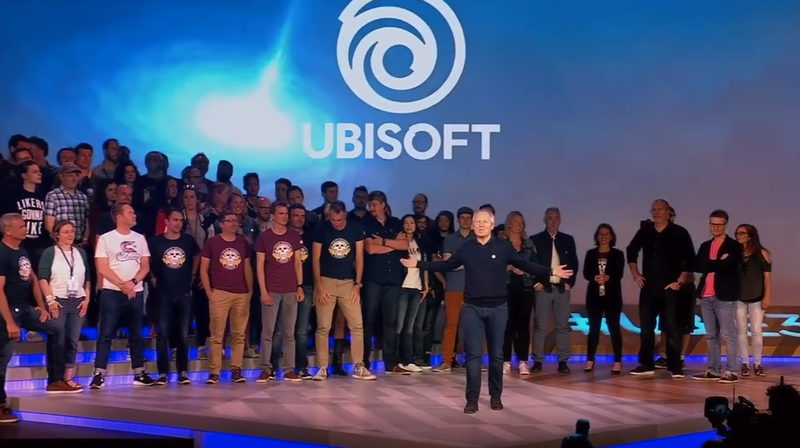 The company’s E3 2016 showcase heavily featured the slogan “We are Ubisoft” and pushed the idea of the giant publisher as a besieged, creatively adventurous underdog implicitly fighting against the drab forces of Vivendi. Despite statements by Vivendi that it had no plans to try and seize a controlling stake in the company, it now looks like the simple threat of that happening has proved extremely lucrative for the French conglomerate. Vivendi previously owned part of Activision Blizzard before that publisher made a similar buyout deal back in 2013. Tencent was also involved, and still owns 5% of Activision Blizzard. He also noted that the partnership with Tencent would allow it to accelerate its efforts to bring Ubisoft’s games to China. In addition to owning Riot Tencent also spent the last few years acquiring Supercell, makers of Clash of Clans, and a large part of Epic Games. The company also has the exclusive rights to distribute PUBG in China, making it a significant player in many of the world’s largest games.